Global payments network SWIFT has partnered with Microsoft for a proof of concept project that uses the technology company’s Azure cloud. 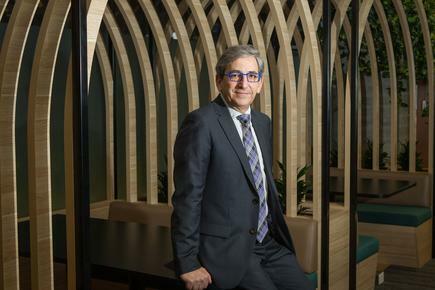 The project involves a “cloud-based implementation of the SWIFT core engine”, allowing financial services companies to interact with the payments network via Azure, Norm Judah, CTO of Worldwide Services at Microsoft, told Computerworld. SWIFT says its messaging services are used by more than 11,000 financial institutions across 200 or so countries. “It turns out that implementations in the cloud generally tend to be more secure than what people are running on-premises,” Judah said. For small and medium-sized banks, securely interacting with SWIFT through the cloud is “massively simplifying,” the CTO said. An early user is Microsoft itself, through its Microsoft Treasury division, which oversees US$150 billion in assets and every year conducts SWIFT-based payments worth around $400 billion. “We’re dog-fooding it,” Judah said. SWIFT will then validate the instruction and send a message to the appropriate bank. Once the bank completes the wire instruction it sends a confirmation to Microsoft. “Cloud adoption continues to increase within the financial services industry, and we are thrilled to partner with Microsoft to bring the benefits of the cloud to SWIFT customers and ecosystem partners via Microsoft Azure,” Boulnois said in a statement. Microsoft and SWIFT are planning a private preview of the service for their joint customers. The preview will launch in the “near future,” Microsoft said.